Generations Down a Red Dirt Road: Just How Popular IS Genealogy and Why Should You Care? How many people are searching for their ancestors? There is no genealogy website more popular than Ancestry.com. More than 11 million people use the resources located at Ancestry.com each month. That number is just a drop in the bucket to the billions, yes billions of ancestors that are documented at the "world's largest" family history resource. Genealogy is a massive industry in the marketplace around the world. You Tube has over 100,000 video's just on the subject of genealogy alone. There are millions of Facebook pages, countless blogs, websites and forums on the subject not to mention a good share of the 230 million people on Twitter who tweet about genealogy. Let's not forget Pinterest where you could literally spend forever it seems perusing the links and resources on categories related to genealogy and family history. Click on the links on the right to visit my Pinterest Boards on Genealogy or Facebook Group. In addition to the endless amount of resources available on the web, much of it free, there are books, magazines and Genealogical societies in almost every major city in the world. There are podcasts, and apps for your smartphone and TV shows like Who Do You Think You Are, and Genealogy Road Show. Some of the most famous libraries in the world exist for sole purpose of housing and preserving genealogical records. The amount of information available is truly amazing. So where do you begin? Well, honestly, the world is your oyster when it comes to answering that question. There are countless sites where you can create your family tree and search for your ancestors. I wouldn't begin to recommend any particular one but just Google "genealogy" and you will have more links than you will care to visit. The Family Search website is completely free and offered by The Church of Jesus Christ of Latter-day Saints. 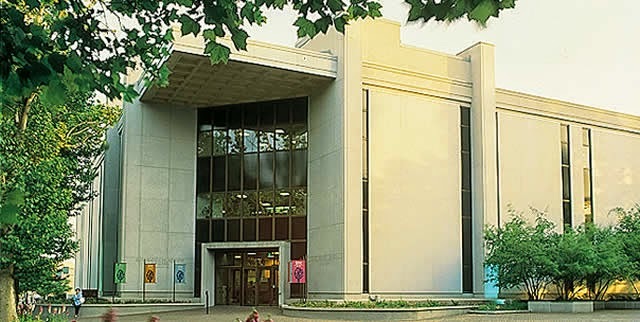 The LDS Library in Salt Lake City is the largest genealogical library in the world and is open to the general public at no charge. In addition the main Library in Salt Lake City there are LDS Family History Centers located around the world. A great amount of their collection is digitized and searchable on their Family Search website for free and more is added every day. Thanks to the internet, more than ever before, much of the resources regarding genealogy are now available online just waiting for you to find them. 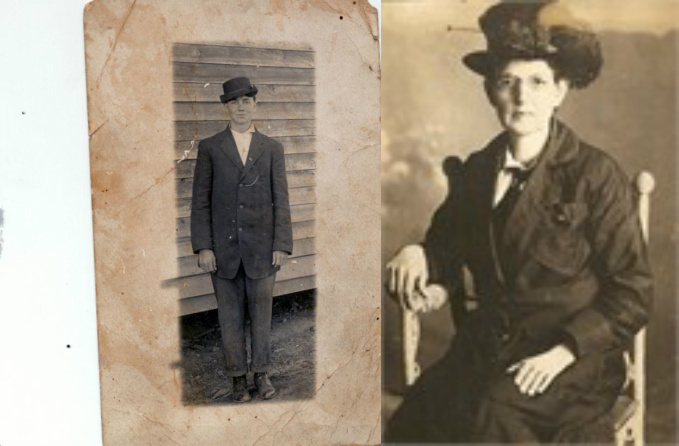 My grandfather Thomas Fritz Matherly,1893-1965, age 16, , and his Mother, Cornelia Elvira Hamby, 1863 -1918. You might find old photographs of your one of your ancestors or learn what they did for a living. There are birth, marriage and death records where you can view the actual documents along with military service records, land records, immigration documents, wills and the list goes on. Within some of these documents you can find many hidden facts like the color of their eyes or an address where they lived. Armed with an address, with Google Earth and Google Maps street view you can see the location, which is really cool. Each breadcrumb of information leads you just a little bit further down the road they traveled and you get to go with them. Starting your search is as easy as knowing a name. Just start with what you know and it will lead you to what you don't know. It's like turning the pages of a good book, each page making you want to know what happens next, only this book isn't about a fictional character but instead the true story of your family, your story and your history! 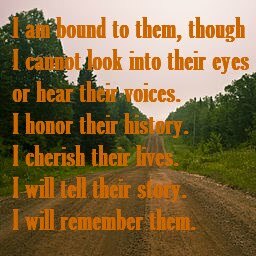 I am grateful for the things I have learned along the journey of researching my family and their place in the world. I get excited with each new piece of information not only for the find itself, but because I know it will lead me down the road just a little bit further. It's fun and rewarding and has brought my family history to life. I encourage you to look into your family's past. You don't know what you don't know and you might be surprised with what you find. Contact me if I can help get you started.